A webcam is an indispensable part of the arsenal of a streamer. Often, streams that include a facecam tend to be more popular. Essentially, it helps viewers perceive content as something unique at first glance, rather than mere gameplay. It also allows a better connection between the streamer and its audience. That said, let’s look at some of the most outstanding webcams you can get right now, as well as see which is the best webcam for streaming! Without further ado, here are our top choices for the best streaming webcams today. Logitech was founded in 1981, and they have become the renowned and prestigious company we know and love for their top quality products in a number of areas. The first of their products we will examine is up to this reputation. The Logitech HD Pro C920 is a state-of-the-art webcam that captures clear, crisp video and photos. It is a compact and flexible camera that can fulfill any task admirably thanks to its many useful and practical functions. The C920 is the only webcam here capable of capturing high-resolution 1080p video. But the video quality is not limited to digital resolution and megapixels! More importantly, this webcam works with a premium Carl Zeiss-made glass lens that is equipped with intelligent and adaptable autofocus. All these features ensure that all images captured by the webcam will be crisp, clear and in full focus. Finally, Full HD video resolution is made possible by the intelligent implementation of H.264 encoding that intelligently compresses video. The end result is a saving of space and bandwidth without any noticeable loss in the quality of the video itself. Unlike most other webcams, the C920 incorporates a stereo microphone rather than a mono microphone, with reduced background noise. This is a convenient way to make video calls, but for streaming, a dedicated microphone is always a better choice. Often, poor lighting leads to lower video quality rather than the supposedly low quality of a camera. We all know this kind of grainy and analog video that is the result. Fortunately, the C920 effectively combats this phenomenon thanks to its automatic light correction function. The camera digitally corrects the lighting of the video or image as it is recorded, allowing the user to capture a video of the highest clarity, even in less bright light conditions. optimal. This webcam is fully compatible with Windows 7 and all later versions. In addition, compatibility with Mac OS 10.6, Chrome OS and Android 5.0 or higher is limited. High Price – As this is a premium webcam, the Logitech HD Pro C920 is naturally much more expensive than other devices of this type. It’s a more than worthwhile investment if you’re looking to stream professionally. Here we have another solution from Logitech, although much more modest. The C270 is a simple-looking webcam, without any really remarkable element incorporated into its design. The main body of the webcam is oval, and the outside has a somewhat dull gray color. The webcam itself is placed on the left side of the main body of the camera, accompanied by a microphone and a single green LED light. The C270 can record in 720p HD resolution, which is standard for most webcams today. Although it uses a seemingly skinny 3 Mpix camera, Logitech’s software innovations play a big role in helping this webcam deliver high clarity video. It uses two key technologies: Logitech Fluid Crystal Technology and automatic light correction. So, what are these two really doing? Logitech’s Fluid Crystal technology is the key to improving video quality on all fronts: Sharpness, Color, Contrast, and Overall Clarity will be significantly improved with this software engineering feat. Secondly, automatic light correction is the feature already explained in the previous entry – it dramatically improves the quality of the video/picture in low light conditions. The C270 is equipped with a mono microphone that is integrated next to the camera lens. If the word “mono” may seem discouraging at first glance, it is still a good microphone, at least for video calls. It also uses noise cancellation to ensure its own sound during video calls, but it is far from enough for streaming. The Logitech C270 is fully compatible with Windows 7 and all later versions. It also works with macOS 10.10 or higher, in addition to ChromeOS. Brittle editing – The webcam can easily be mounted on any monitor with the accompanying clips. However, even in this case, it remains quite unstable. Admittedly, this is not a problem with desktop computers, but it can cause a lot of problems for laptop users. Here we have a product of one of the best-known names in the computer world. It is none other than Microsoft, and they are here to provide one of the highest quality webcams on this list – and its name speaks for itself. Microsoft LifeCam Cinema is very different from most mainstream webcams in that it uses a cylindrical body closer to a real cinematic camera, hence its name. It uses a black and silver color scheme, with a microphone on the top and is of exceptionally robust construction. Although it can record in “only” 720p, we all know that resolution is not everything. In fact, the main strength of this webcam lies in its wide-angle lens that even has an autofocus function. The “wide-angle” lens is particularly noteworthy as it provides a much better and more immersive depth of field. On the software side, LifeCam Cinema uses TrueColor technology with face tracking. Advantages? Focus and exposure adjustment much more precise to present you clearly and in the best possible light. The webcam incorporates a mono microphone mounted on the top in its design. It also has noise-canceling capabilities and is overall a very good microphone – with regard to webcam microphones. The LifeCam Cinema has full functionality only from Windows version 8, while it has limited functionality on Windows 7. In addition, it also has limited functionality with several versions of macOS 10.7-10.10.10. It can be immediately deduced from the design of the webcam mount that it will just not fit well with a laptop screen. Namely, it is obviously designed to simply rest on a stable LCD or LED flat screen and for this reason, it is far from ideal for laptop screens that are rarely kept in a stable vertical position. The autofocus function of the webcam may become over-active from time to time, especially in low-light environments. This is far from a breach of contract, but the recurring blur can be a hindrance. Then we have another webcam from Microsoft, but nothing as flashy as their LifeCam Cinema. This product is closer to an economical solution, although it is more of a product in the middle that lingers on the border between low-end solutions and midrange solutions. The webcam in question is another webcam from the LifeCam series from Microsoft, the HD-3000. It follows the overall exterior design of this product line, with a predominantly black bodywork and silver highlights. It’s not the best webcam for streaming, but it can do the job. The HD-3000 records video in 720p HD resolution, but with a simple plastic lens. And while it still has autofocus capabilities and TrueColor on Windows 8 and up, it lacks most of the other powerful features found in the more expensive LifeCam products. The HD-3000 uses a single mono microphone with noise canceling. Although it is not obvious from what is presented on paper, there are some notches under the other LifeCam microphones. In the end, it is convenient for video calls but hardly adapted to professional streaming. The HD-3000 has exactly the same OS compatibility specifications as LifeCam Cinema: full support for Windows 8 and up, and partial support for Windows 7 and macOS 10.7 to 10.10.10. Most webcams incorporate this feature to allow users to set ideal viewing angles. This is a particularly important feature if your desk is low or your monitor is too high, and as it is missing here, some might have a hard time finding the perfect position for this webcam. Like the LifeCam Cinema, the HD-3000 uses a mount/stand with the same flaws. Namely, it is rather difficult to attach so that it is stable and fixed in place. Again, this is not a disadvantage as important for desktop PCs as for laptops. How to choose the best webcam for streaming? As always, the needs vary from user to user and budgets too. That’s why we’ll introduce you to a short guide that discusses the importance of some webcam features, which ones to keep in mind and, ultimately, how to find the perfect webcam for your needs. Without further ado, let’s dive straight to the point! Resolution – Do you really need Full HD? We all felt, at one time or another, the compulsive need to own a piece of technology because of its amazing paper specifications. However, only the most budget-conscious are asking whether they really need all these high-tech features. Take a moment to think about how you will use the webcam. If you just need to add a “face cam” to your stream, then the choice between 720p and 1080p is not a critical factor. Just because the video he’s recording will only take a fraction of the screen. With this in mind, people should watch the images recorded by your webcam on their entire screen to notice any difference between the resolutions “HD Ready” and “Full HD”. So, in the end, the maximum video resolution should not be the deciding factor in your final choice. If you can afford it, then it’s certainly clean to have 1080p recording capabilities as it’s safer for the future, but it’s not worth spitting huge sums of money for this. Plastic or Glass Lenses – Is there a difference? A big difference between cheaper webcams and more expensive webcams is the lens material. In truth, it does not affect much the quality of the image. The choice between plastic and glass is much more relevant for glasses or contact lenses. Microphone – Is it important? As we already mentioned in the article, webcam microphones are not usually surprising. They are included only to make video calls more convenient, and it’s a purpose they serve admirably. On the other hand, if you want Stream, you will need a dedicated microphone. Why? Simply because they are better in every conceivable area, offering a plethora of useful features and a far superior overall sound quality. Technologies that improve image quality by correcting lighting and improving color are more important than you think. In truth, poor lighting is often the main cause of the poor video quality of the webcam, and most people find it difficult to install adequate cinematographic lighting at their desks. Fortunately, some webcams can numerically oppose it by applying various effects that produce natural-looking, high-clarity images even in dimly lit environments. Keep in mind though, just because a webcam has this feature does not mean it can get the desired effect as well as any other webcam. 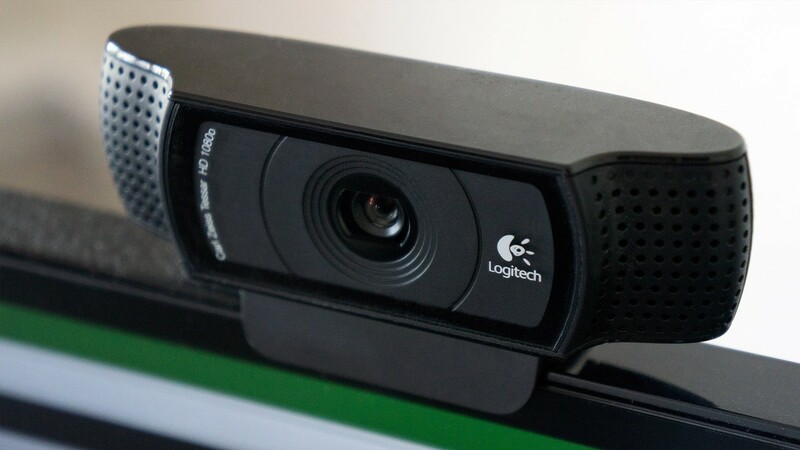 All things considered, we concluded that the best streaming webcam is the very first entry on this list, the Logitech HD Pro C920. So how exactly is this webcam clearly above the competition? First and foremost, it really offers the best value for money. Even though its official price on Logitech’s website is $ 80, you can get it for about half that price on Amazon and various other sellers. This brings high-quality webcam at an affordable price at a mid-range price. As for real things, what is it better than other webcams? Almost all. It can record in 1080p, and although it is not a critical factor for streamers, it makes the camera more scalable and useful for vlogging or for any other type of video. In addition to the resolution itself, it uses a Carl Zeiss premium quality lens, reliable and responsive autofocus, and unprecedented precision in terms of low-light correction effects. He ridicules even every other webcam in the audio department because it includes a very good stereo microphone. Now, although some of these features are not as important, as we’ve indicated in our little guide above, keep in mind that you’ll get all this at an incredibly low price – for a device of this level.